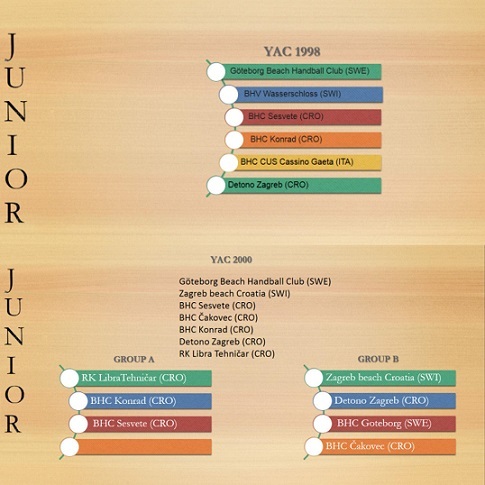 In the youngest categories all of the teams will play agaist each other, whilst in the juniors category, boys born in 2000 will play in two groups of three and four teams. Then two best teams will play semi-finals. 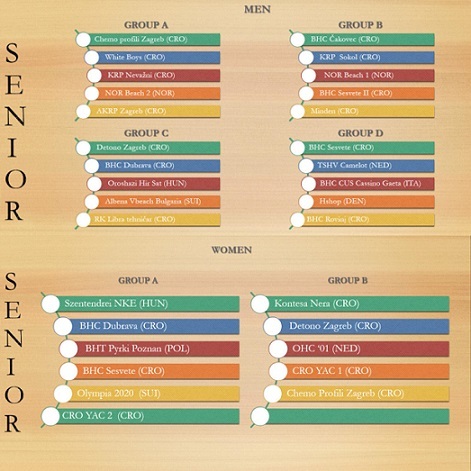 In women's senior category the teams were divided into 4 pots as per last year EBT ranking, so from the Pot 1 the teams of NKE Szentendrei and WBHC Kontesa Nera were drawn. From Pot 2: Detono Zagreb and BHC Dubrava, from Pot 3: BHT Pyrki Poznan and OHC'01, whilst in Pot 4 there were 5 teams outside EBT ranking. In men's senior category, the most numerous one, teams were divided into 5 pots same as in women's category, i.e. as per last year EBT ranking, but with 4 teams in each pot. The team of KRP Nevažni has jumped into pot 4 as the team achieved best place on Jarun Cup 2016 among other teams not registered in EBT ranking. The schedule will be available on Thursday afternoon.